This shrimp Creole recipe is easy to prepare and cook in the slow cooker. Serve over hot cooked rice or pasta for a tasty meal. Add diced cooked chicken or turkey, or use crawfish in this recipe. 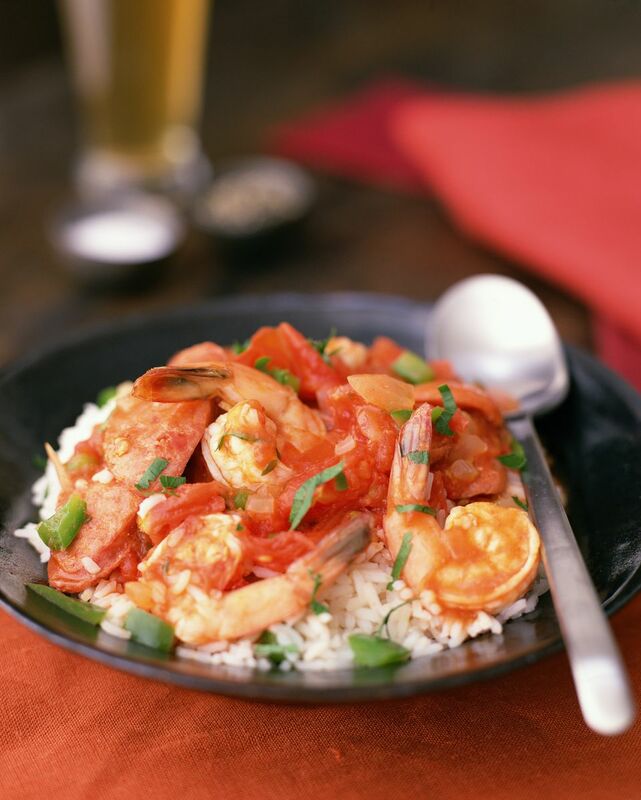 This Creole-style etouffee is a similar dish as is this slow cooker garlic shrimp. The dish is even better when reheated the next day. Combine all ingredients except shrimp. Cook 3 to 4 hours on high or 6 to 8 hours on low. Add shrimp last 30 minutes of cooking. Chicken, rabbit or crawfish may be substituted for shrimp. Saute celery, onion and bell peppers in oil or butter until tender. Simmer for at least 30 minutes to an hour. Add shrimp (or cubed cooked chicken or other seafood) and simmer for 15 to 20 minutes more.